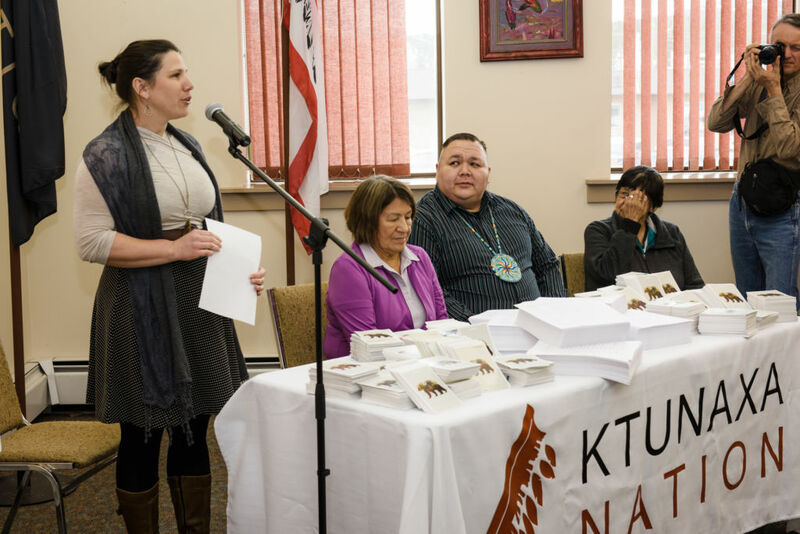 On March 13th, we presented a petition calling for permanent protection of Jumbo, with 61,526 signatures from around the world, to the transboundary Ktunaxa Nation in support of their Qat’muk Declaration at a ceremony in a packed venue at the Ktunaxa Nation offices, with more than 100 in attendance. 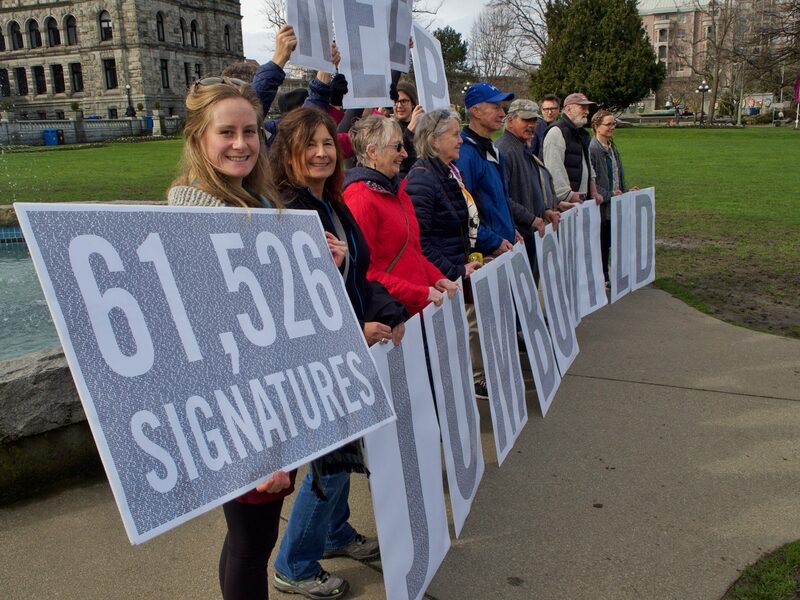 The petition was launched from a partnership between Wildsight and Patagonia, with the feature-length film Jumbo Wild that inspired tens of thousands around the world to stand up for the remote wilderness, critical grizzly bear connectivity habitat and Ktunaxa spiritual values of the Jumbo Valley. 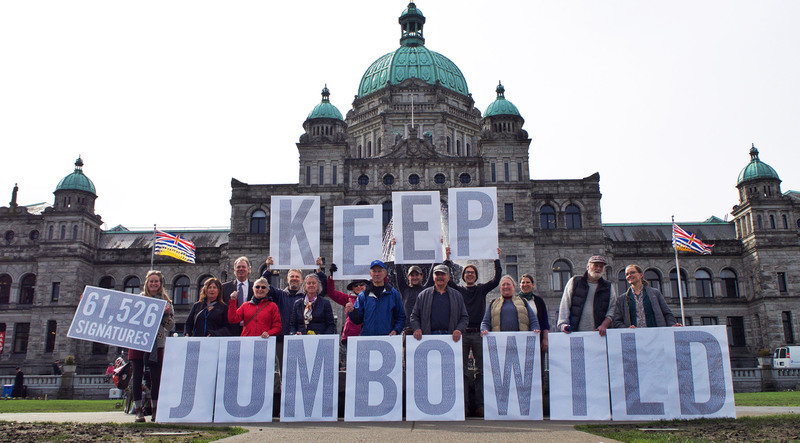 The very next day, the petition was presented to the government in the BC Legislature by longtime Jumbo Wild supporters Columbia River-Revelstoke MLA Norm Macdonald and Nelson-Creston MLA Michelle Mungall. For the Ktunaxa, the Jumbo Valley is Qat’muk, the home of the grizzly, and an important spiritual site that would be desecrated by the proposed Jumbo Glacier Resort. The Ktunaxa are defending Qat’muk with a judicial review under consideration by the Supreme Court of Canada. “We stand together with you here today and we’ll stand with you until Qat’muk is finally protected.” said Duncan, addressing the Ktunaxa Nation from the BC, Montana, and Idaho. A special thanks to everyone who got involved (in person and online) to help push the petition signature well beyond our highest expectations. Together, we’ll keep Jumbo wild! Photos: Aric Keane, Pat Morrow, Yutaro Weng.